3.5" long Bonn Scissors with 15mm long blades. Tungsten carbide reinforced straight SureCut blades with Sharp/Sharp tips. 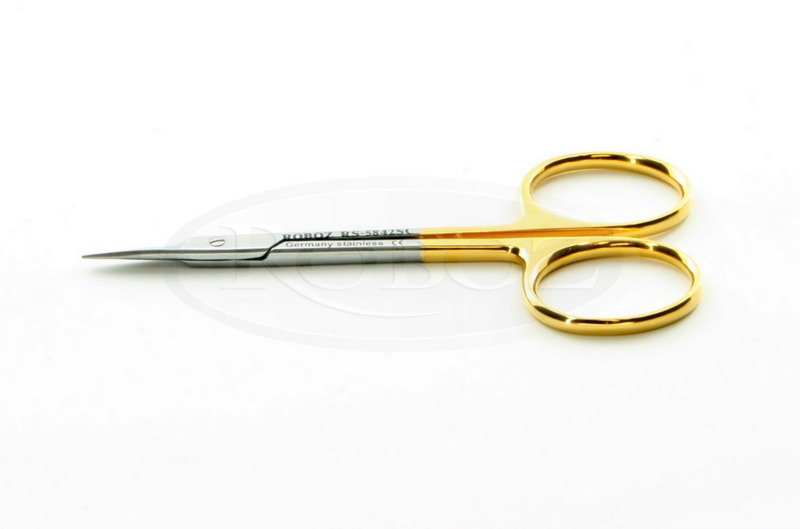 These scissors combine the hardness of tungsten carbide and the sharpness of SureCut blades. SureCut blades are manufactured with micro-serrations on one blade and a razor-sharp edge on the other. The result is superior cutting performance and very durable blades that stay sharp about four times as long as standard stainless steel blades do. The bevel-honed edge of Sure Cut scissors acts like a razor edge to cut tissue without crushing it. The serrated edge grips very soft or tough tissue preventing slippage. Sure Cut scissors make a reliable, clean, smooth cut. 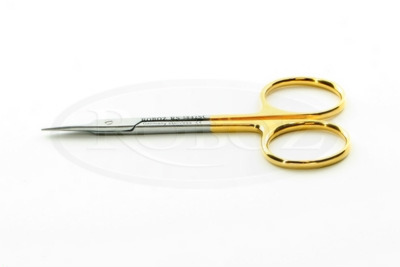 There is less force required to cut tissue with these scissors. Please see our Sure Cut Scissors and Tungsten Carbide Scissors categories under “Scissors” to see all available SureCut or Tungsten scissors.